MLM Recruiting- What Can We Learn from a Corporate Recruiter? 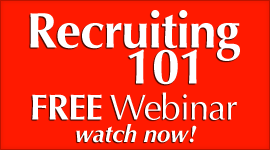 You are Here: MLM Network Marketing Training PassionFire » MLM Training » Home Business MLM Training Articles » MLM Recruiting- What Can We Learn from a # 1 Corporate Recruiter in the Nation? 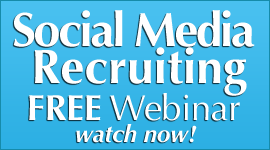 MLM Recruiting- What Can We Learn from a # 1 Corporate Recruiter in the Nation? 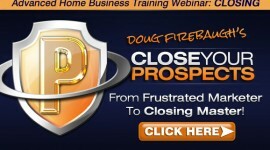 How would it help to discover some Corporate recruiting secrets for your MLM business?? 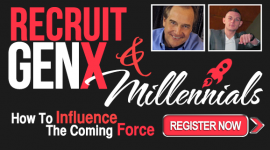 What if you knew how similar Corporate Recruiting is to MLM Recruiting? Would their secrets of recruiting make more sense? 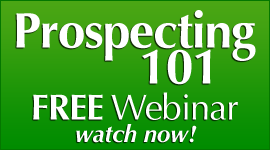 I have a friend named “Scott” who is the # 1 Corporate Recruiter in the nation for a recruitment firm, and he and I were talking recently and we discovered through that chat how similar recruiting is in the home business profession. 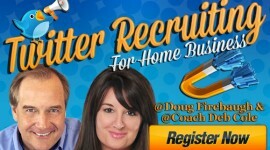 Similarities between Corporate Recruiting and Home Business Recruiting. 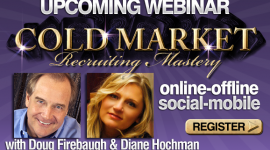 HUGE Hint: Every similarity between Corporate Recruiting and Home Business Recruiting is a Potential Hidden Secret to Social Recruiting Success. Social Recruiting starts in social media and ends with the social candidate they have connected with, being placed for employment with a corporation. Social Recruiting for home business starts in social media and ends with the social candidate (prospect) they have connected with finding their place, and enrolling with the home business corporation. NOTE: Both are pretty much doing the same thing, only in different ways. One is sourcing candidates for employment, and the other is sourcing candidates for being an entrepreneur. 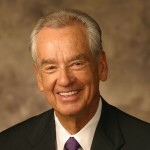 Both processes focus on connecting a prospect with the right company. One candidate goes to a corporate business, and the other candidate starts their own business. The corporate recruiter is looking for a MATCH between what the corporation is looking for, and what the candidate is looking for. The home business recruiter is looking for a MATCH between what their company is looking for, and what the prospect is looking for. The corporate recruiter locates a candidate, connects with them, builds trust, and then helps find the job of their dreams. The home business recruiter locates a social candidate, connects with them, builds trust and then helps the candidate achieve their dreams. The corporate recruiter takes the time to get to know the candidate, interviews them, and then gives the candidate well suited options for possible employment. The home business recruiter takes the time to get to know the social candidate, interviews them, educates them on what the business offers, and gives the candidate options for possible wealth. The corporate recruiter looks at online resumes, and then from those details, decides who would be right to talk to about certain corporations. The home business recruiter looks at profiles, videos, tweets, posts, and conversations in social media, and then from those details decides who would be right to talk to about their business. The corporate recruiter has a “patient sense of urgency” as she is patient with the candidate, but has a sense of urgency to find the right fit for the client. The home business recruiter has a “patient sense of urgency” as she is patient with the candidate, but has a sense of urgency to find the right fit for her company as well as the prospect. The corporate recruiter builds strong relationships with the candidates by showing VALUE in everything that is done and said. The home business recruiter builds strong relationships with the social candidates by giving VALUE in everything they say and do. The corporate recruiter knows who they are looking for and does NOT waste their time on people that do not fit their criteria. The home business recruiter knows who they are looking for and does NOT waste their time on prospects that are not a fit. The corporate recruiter has a good “assessing people” skill set as well as listening skills to size the candidate up quickly. The home business recruiter has a good “assessing people” skill set as well as listening skills to size the prospect up quickly. 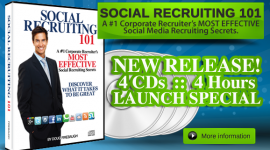 The corporate recruiter spends time on Linkedin and other professional social sites, looking for possible candidates. The corporate recruiter knows the market and can speak both to the candidate and corporation as an expert. The home business recruiter knows the market and can speak both to the social candidate and to their dreams as an expert. They corporate recruiter can show their true value with facts, figures, and metrics that they can show the candidate and the corporation. The home business recruiter can show their true value with powerful presentations and results to the social candidate and their future. The corporate recruiter can close the candidate and place them in a suitable business that fits both the company and the candidate. The home business recruiter can close the candidate and help them start building a suitable business that fits their dreams. Locating the Right HIGH QUALITY TALENT, This is your focus for your home business and mlm prospecting and mlm recruiting as well. 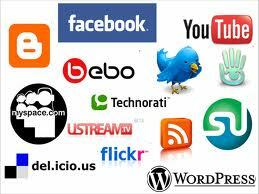 Social Media Recruiting- Content or Contacts? what is More Important?